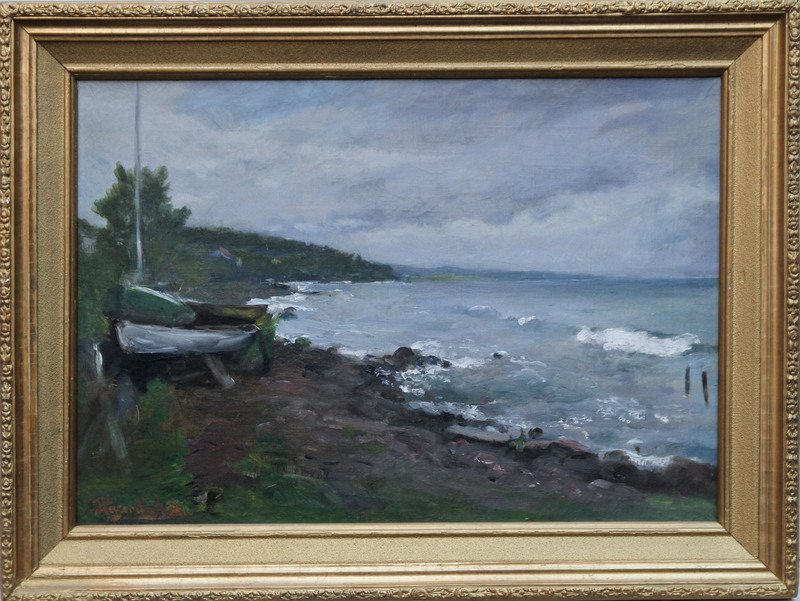 A stunning oil on panel by Norwegian Impressionist Hans Olaf Heyerdahl who was a noted and well travelled landscape and portrait artist. 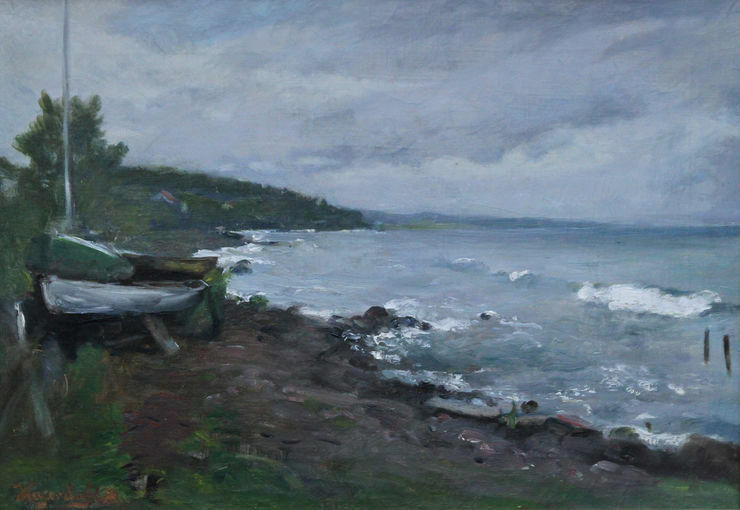 This one portrays a cold wintry coast with boats ditched on the shore. Painted in 1891 in an Impressionist style it displays beautiful light. The waves come right out of the canvas. The painting is in fine gallery condition and is signed and dated lower left. Original frame. 60cm by 45cm. Excellent condition.